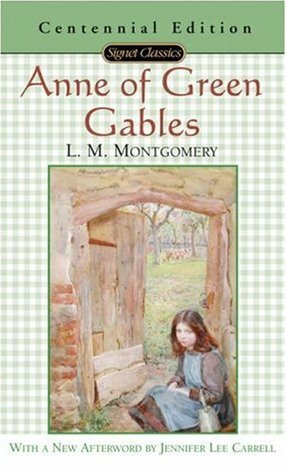 This book is one of my mum's favourites, for years I thought I had already read it but it turns out I had gotten Pollyanna confused with Anne of Green Gables. I think the next classic I read has to be Pollyanna again, since I obviously don't remember it. It took me forever to read this book. I started reading this book at the beginning of the biggest reading slump I've ever had. I really enjoyed this book. It was a nice break from the fantasy books that I seem to be reading so much of right now. All the character were who they said they were, which was a nice change. I loved seeing the development in Anne and Marilla's relationship. It was one of the happiest things ive read in years, the devotion between them is unparalleled in books. The plot was great, it was like a gentle meander. Not a lot happened but Anne's dramatic reaction to everything made it feel ten times more exciting. It did break my heart a bit when a certain character died. I could see it coming but they were my favourite character so I was in denial. I'm still convince I misread it. My favourite part of the book was definitely the ending. I love how perfectly ever tied together without making it feel like the story ended right there. 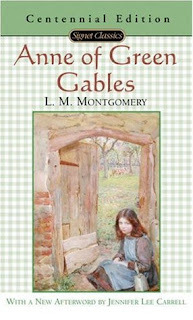 It gave you the idea that Anne still continued her life after the book finished. In conclusion, this is a great book to read after a depressing book or super fast paced. I don't think I'm going to read on in the series. I loved the ending so much that I'm not sure I want anything to ruin it in anyway. I'm giving this book 4.5/5.